Greece is discussing a third bailout package with the European Union worth €30-50 billion according to the Spanish economy minister. Greece and EU officials deny discussions are taking place. “We are negotiating a third rescue for Greece”, Spanish Economy Minister Luis de Guindos said at a conference on Monday, adding that Spain would contribute 13-14 percent of the bailout, the Financial Times reports. The new rescue plan would set more flexible conditions for Greece, which have no other alternative than European support, according to the minister. Eurozone officials said there was no discussion of a third bailout. A third bailout program “is not being discussed in the Eurogroup,” Jeroen Dijsselbloem, the Dutch finance minister and the president of the group of eurozone finance ministers, was cited as saying by the Wall Street Journal. Greece would not need another international program, Prime Minister Alexis Tsipras said in a televised cabinet meeting on Friday. The government agreed terms for the current bailout program’s four-month extension last week. 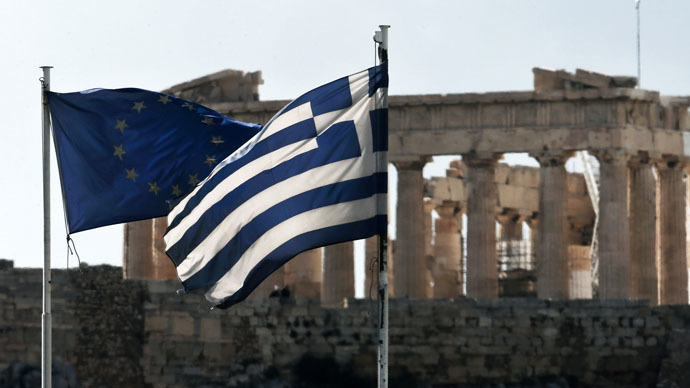 The agreement with EU creditors prevented Greece’s possible exit from the eurozone. Greece has won the support of France, the US and China in the issue of Europe’s austerity program, Tsipras said on Sunday, noting extreme pressure from Spain and Portugal as well. “Their plan was and is to wear down, topple or bring our government to unconditional surrender before our work begins to bear fruit, and before the Greek example affects other countries. And mainly before the elections in Spain,” Tsipras said, according to the WSJ. The Spanish Prime Minister responded harshly saying they were not responsible for the frustrations of the Greek left that couldn’t fulfill their promises. “The Greek Premier is now trying to deflect attention from his own mistakes by attacking external enemies”, Mariano Rajoy was cited by the WSJ. The Prime Minister of Spain also said that Greece got about €26 billion from Spain in the EU bailouts, stressing the extreme hardship Spain is experiencing while trying to support Greece. Meanwhile, Athens faced the first protests against the newly-elected anti-austerity government, last Thursday. In Germany, Greece’s main creditor, demonstrators also took to the streets, protesting over further Greece bailout plans. Greece has received €246 billion in bailout packages from the so-called troika of international creditors since 2010. The bailout was provided with strict terms which included the introduction of austerity measures and drastic budget cuts. The unemployment rate in Greece has reached 30 percent, with a third of Greeks living under the poverty line. The newly-elected Greek government promised to end the EU bailout program.